Call it the Beyond Whistler Adventure. Blackcomb Helicopters wants to put you in those rad videos of lucky riders being dropped atop other-worldly peaks with 360-degree views and nothing but downhill craziness ahead. Cautioning that it has to receive “tenure” (Canadian-speak for government approval), the Whistler-based helicopter service hopes to add a new multi-run day tour this summer. Already known for Mount Barbour charters aboard custom-rack-fitted AStar helicopters, Blackcomb was tantalizing Sea Otter festival-goers with epic future plans. Aimed largely at skilled out-of-towners and first-time visitors more comfortable with guide presence, the three-run bonanza in the Pemberton area’s alpine backcountry will start by shuttling riders from Whistler to a staging area in a Pemberton farm field. 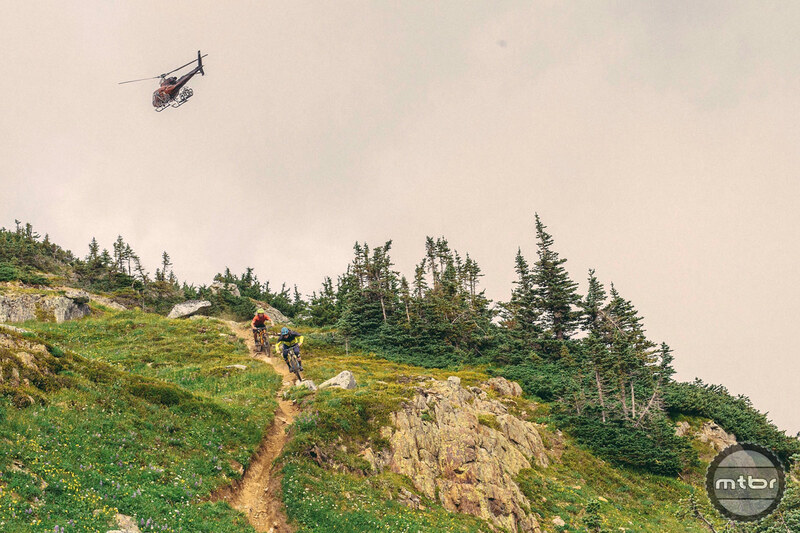 From there they will be flown to a nearby mountaintop, do a screaming half hour descent back to a sub-alpine landing pad, get picked up by the helicopter, and then dropped at another trail to ride back to a new pad for another run. Trails will be intermediate to expert, so it’s challenging but not out of reach for weekend warriors. Blackcomb is working with legendary Paddy Kaye and the Joyride Bike Park crew to design and build the new trails. The multi-run package will run approximately five hours, with about 6500 feet of descending, and will include a guide, lunch break, and gobsmacking photo ops. Options for additional runs will be available. Blackcomb also is revamping its Rainbow Mountain adventure, a rowdy 2- to 3-hour, 4-mile, 5000-foot descent on a trail network initially burned in by motos. More for the full-face crowd that doesn’t need guide services, the trail will finish at Alta Lake’s Rainbow Park for a post-ride swim before pedaling back to the village. And Blackcomb will keep its signature Mount Barbour charter drop, featuring a 6500-foot all-mountain descent ending in the Pemberton Meadows. Blackcomb says its trips appeal to adventure tourists from all over and Pacific Northwest locals who come up for the day or a weekend. “They’re looking for a step up from what’s available around them,” Norris explained. Blackcomb encourages groups of five to keep costs down for the charters. Pricing is not yet available, but Norris said the single-run unguided drops will run you less than a new set of tires, while the multi-run option will be a bump up in per-head cost. Blackcomb’s Pemberton base manager Andy Meeker worked with Powell River-based Aero Design to build its custom heli racks, which replaced cumbersome suspension lines and awkward pad handoffs. 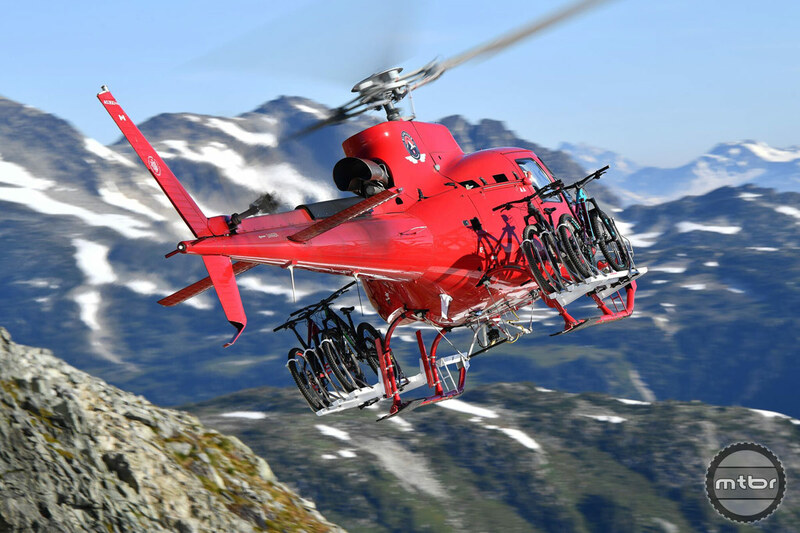 While helicopters limit capacity to five riders, the racks can hold three bikes to a side. 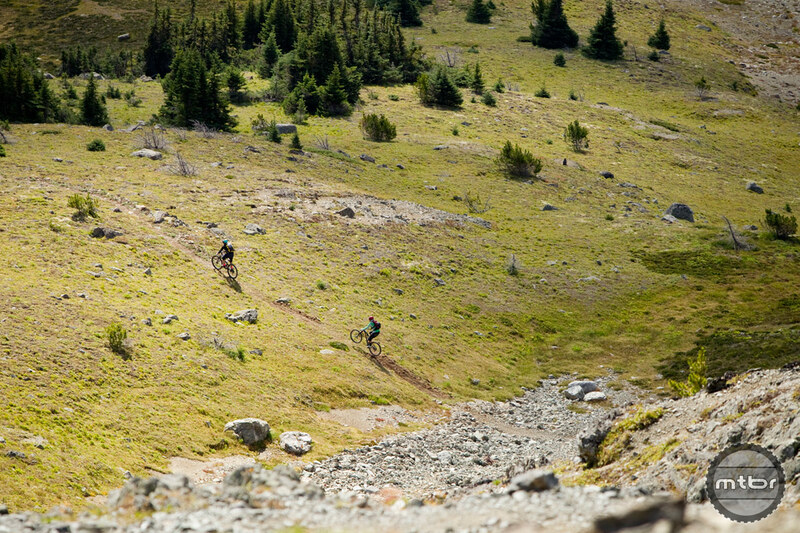 For the guided program, Blackcomb plans to carry a spare in case of a last-minute issue with a customer’s bike. All wheel and tire sizes are accommodated. The racks also increase the number of flights since passengers were not allowed on previous long-line flights where bikes were carried on a tether beneath the helicopter. For more information, visit blackcombhelicopters.com. This article is part of Mtbr’s coverage of the 2018 Sea Otter Classic in Monterey, California. For more from Sea Otter CLICK HERE. I’d be interested in riding to the tops of these routes. I’m guessing the main trail might be too steep/loose. ya, the pride is being able to ride to the top.